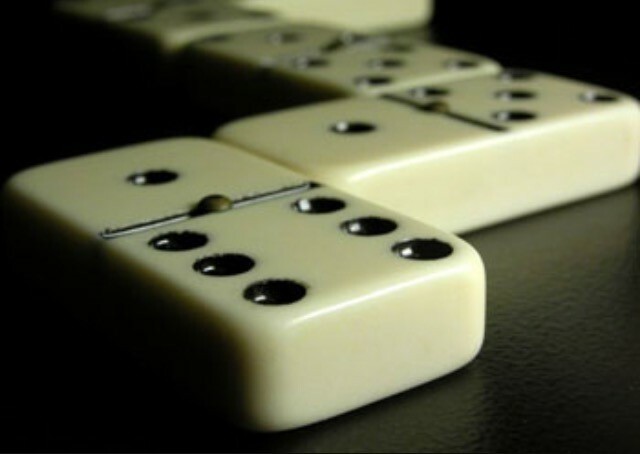 There are 16 blog entries for February 2017. Tuesday, February 28th, 2017 at 3:19pm. Southern Florida is a melting pot of many cultures. Just an hour drive south from Palm Beach County is the second largest city in Florida, Miami. Miami is known for its rich heritage and many cultural influences. It is nicknamed the “Capital of Latin America” because of its high population of Spanish-speakers. 2017 Jupiter Seafood Festival THIS WEEKEND! Tuesday, February 28th, 2017 at 10:57am. 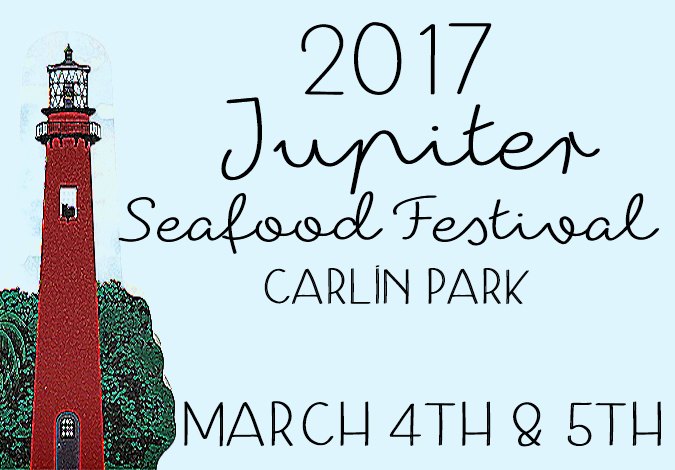 Coming to Carlin Park in Jupiter, March 4th and 5th, is the beloved Jupiter Seafood Festival. The festival offers guests 2 days of delicious, local seafood, cold drinks, live music and fun for people of all ages. 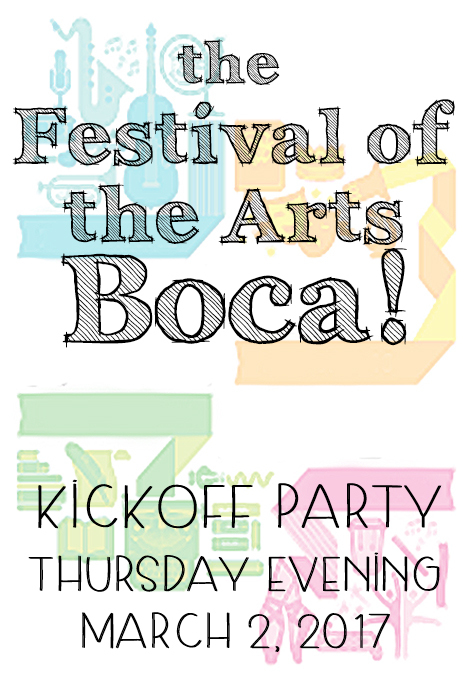 Festival of The Arts Boca KICKOFF Party Thursday! Monday, February 27th, 2017 at 11:09am. Boca Raton’s beloved art celebration, Festival of the Arts Boca, is right around the corner and its kickoff party is happening this Thursday. The Festival of the Arts Boca offers its guests and fellow art enthusiasts 11 days of film screenings, jazz, symphonic concerts, lectures and readings. Monday, February 27th, 2017 at 10:34am. The show is a blend of a dramatic Broadway performance paired with the art of Irish dancing and a dash of rock and roll. The performance features 14 dancers, 8 musicians and two incredible vocalists. 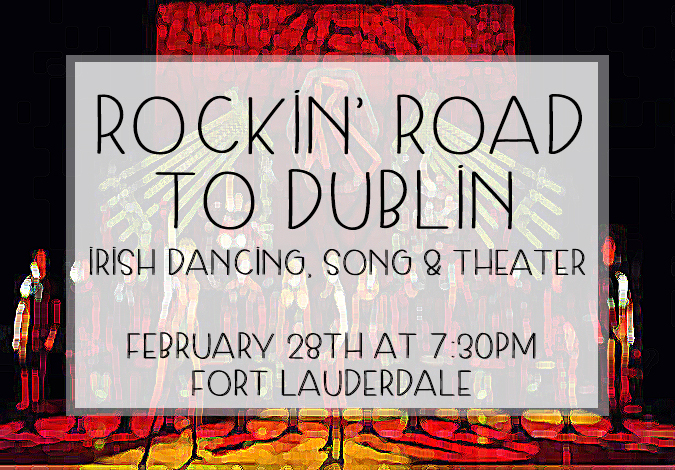 Rockin’ Road to Dublin is just one of those shows you must see! Friday, February 24th, 2017 at 11:48pm. 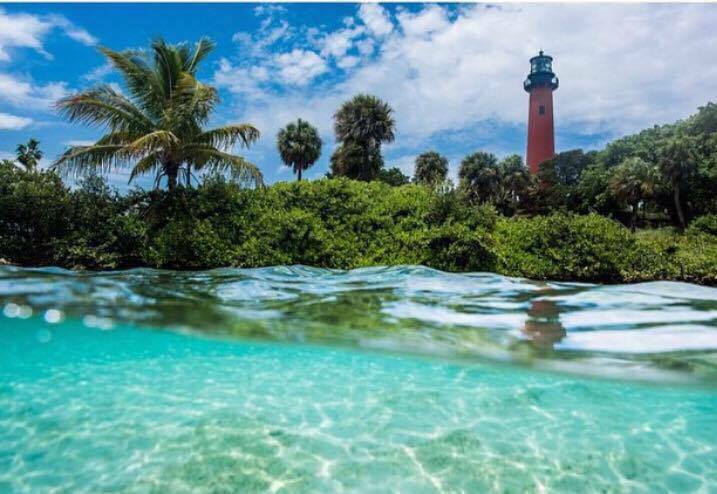 The Jupiter Inlet Lighthouse and Museum has planned the 2nd Annual Maritime Festival “Sea Fest for Kid in Jupiter. This Saturday, February 25, 2017 from 11:00 a.m. to 5:00 p.m. Plenty of oceanic themed fun, adventures and land based activities and demonstrations. Friday, February 24th, 2017 at 10:27am. 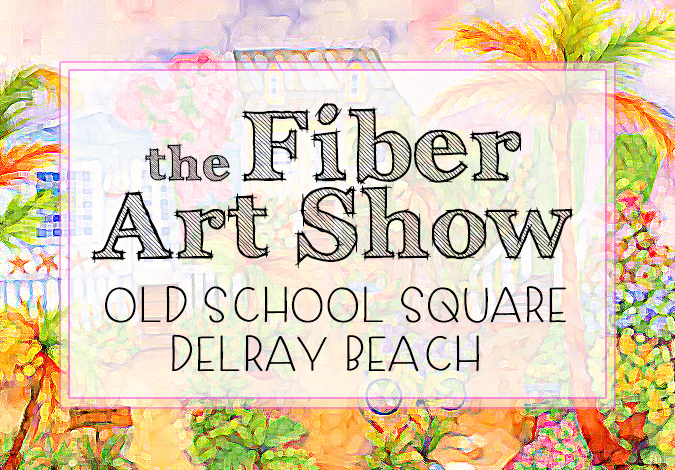 Beginning this weekend and continuing through mid April at Old School Square in Delray Beach is the Fiber Art Show. The art exhibition is comprised of the works of 15 different artists from all over the country. The Fabricated Art Show will be on display through April 23. Admission is free however a donation of $5 is greatly appreciated and suggested. Thursday, February 23rd, 2017 at 11:18am. Florida conjures up images of luxurious palatial homes, palm trees swaying in warm breezes, sparkling swimming pools, expansive stretches of sandy beaches, and seas of boats moored in harbors. It’s where luxury living has been elevated to its limits. Thinking of moving to South Florida in 2017, consider the hot forecast for real estate in 2017. 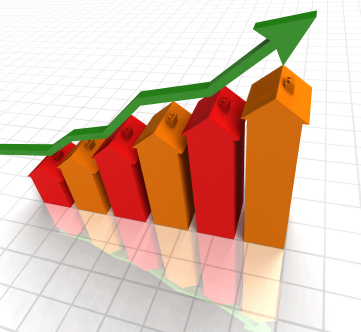 Expect a hot year for home sales in 2017, per recent forecasts from the National Association of Realtors, the Mortgage Bankers’ Association, Freddie Mac and Fannie Mae and more. Thursday, February 23rd, 2017 at 10:46am. 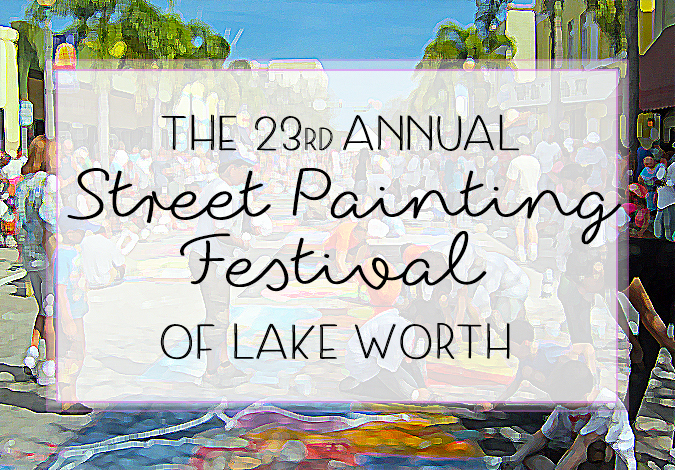 Come take a walk through some mind-blowing works of art this weekend in Lake Worth at the celebrated Street Painting Festival. The festival will take place this weekend on February 25th & 26th. Life sized works of art chalked right onto the street create a feast for your eyes unlike anything you have ever seen. Wednesday, February 22nd, 2017 at 4:55pm. The Town of Jupiter is home to one of the few remaining dog friendly beaches in the State of Florida. Jupiter is located north of Palm Beach and just south of Stuart, Florida. Having “man’s best friend” allowed on the 2 and ½ mile stretch of beach is a privilege. Well behaved dogs and their conscientious owners are always welcome on the beach. 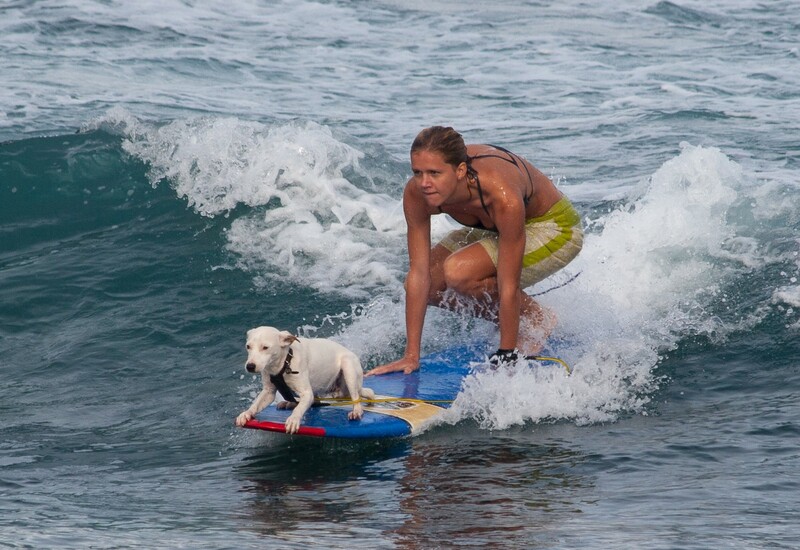 Certain rules apply when you bring Fido to the beach. Wednesday, February 22nd, 2017 at 2:20pm. 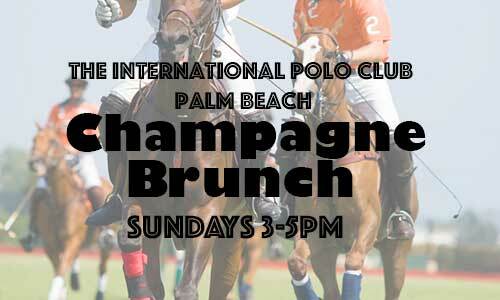 If you enjoy the warm, south Florida winters, polo and champagne you have to experience Sunday Brunch at the International Polo Club of Palm Beach!